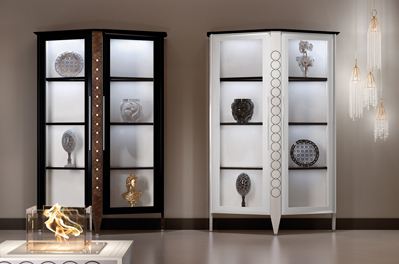 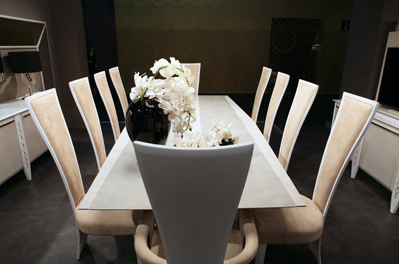 Vismara has always been paying close attention to dining room furniture by creating resistant, functional but at the same time aesthetically perfect luxury pieces of furniture: sideboards, cupboards and glass showcases made of solid wood, all hand-inlaid, gold- and Murano glass-lacquered. 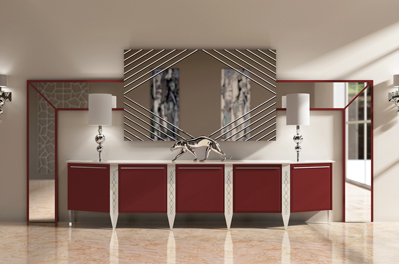 All the taste and excellence of Made in Italy style, combined with the most innovative solutions to enhance the environments and optimise them intelligently. 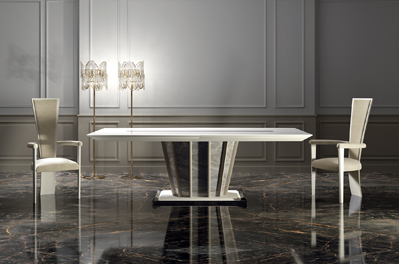 Tables, comfortable and cosy dining chairs and variously shaped and coloured precious decorations perfectly match the style: not only mosaic, silver, marble and stone, but also essential silhouettes.